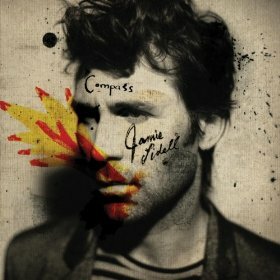 UK’s soul pop star Jamie Lidell returns with his fifth album, Compass along with a diverse range of production credits (Beck, Feist, Nikka Costa, and Grizzly Bear), and mixing up the funked up grooves, digital sounds and moods Mr. Lidell is essentially known for. From the intro of “Completely Exposed” to which he sings of being naked with emotion, to the sauciness of “Your Sweet Boom,” and the adoring gems that are “She Needs Me” and “It’s A Kiss,” Jamie throws emotional caution to the wind. Even while channeling 80’s Prince on “I Wanna Be Your Telephone,” we get a sense of the man’s head-space during the recording of this project: unabashedly in love! Also, what’s lovely about Compass is that Warp actually pressed vinyl copies. Oh yes, they still exist. In its incarnation, Side A is full of uptempo tracks including lead single “The Ring,” indie-rock tune “You Are Waking” and the Beck-produced “Coma Chameleon.” On the reverse, peppered about are the organ-heavy but short “I Can Love Again” and the engagingly open yet funky title track. Ultimately, both versions of Compass are necessary add-ins for any Jamie Lidell fan.